Sonic Mania was first announced in July at Sonic’s 25th Anniversary Party that I magically managed to get to in San Diego, California last year (2016) Sadly though, I actually didn’t get to see the announcement because I was still in line outside, waiting to get in lol. 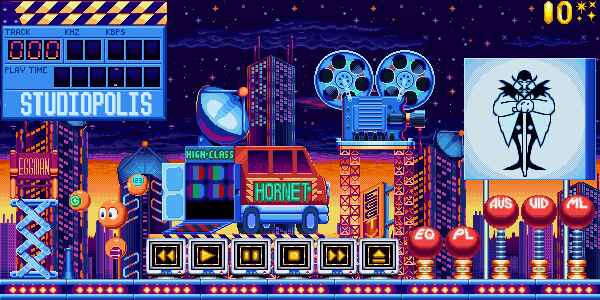 I don’t know when or what I was doing when I came to the realization that I wanted to see the Hornet Van in Studiopolis Zone, dance. 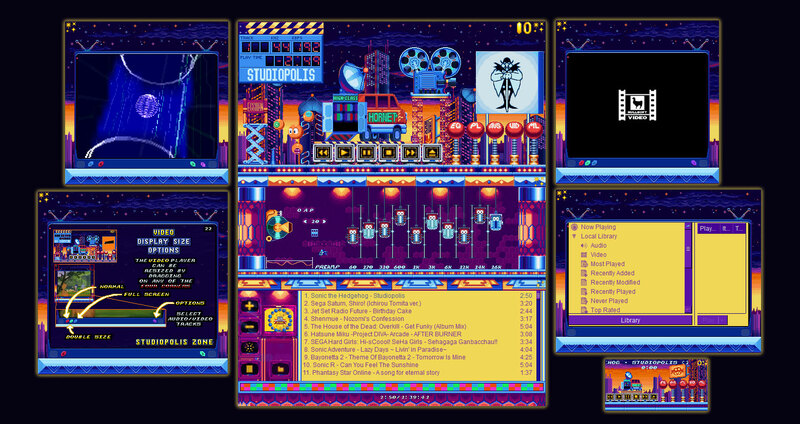 Much like Crabmeat from Green Hill Zone being the fuel for my previous Winamp skin. The Hornet Van was the fuel for this one! Since Sonic Mania is a huge nostalgic trip of the classic Sonic games from the Genesis era. I figured that maybe others may be interested in it too! There wasn’t really a way to get a hold of the sprites in the game. 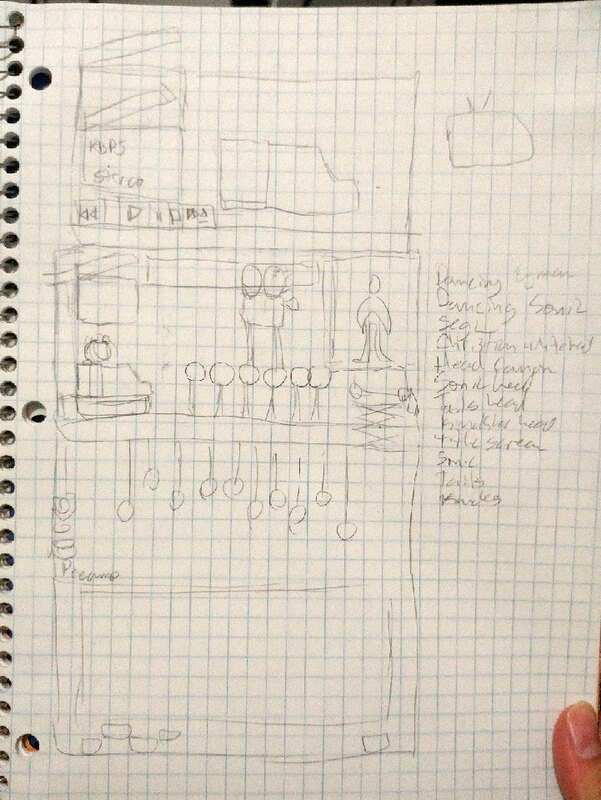 So using the debut video, and some gameplay videos I obtained from Youtube. I “took” sprites from those, and redrew them all! I wanted it too look nice and CRISP! Sprites always look so crisp. There was a lot of work involved in this, I mean a LOT OF WORK. I had no idea at the time that this would have taken so long. There were several times that I had to stop working on on this skin, for family/work reason (of course right?) But the last few weeks I really had the chance to push, push, push and spend my free time to get this done. I was making great time and was coming up to the end when I hit this massive wall that completely halted me. 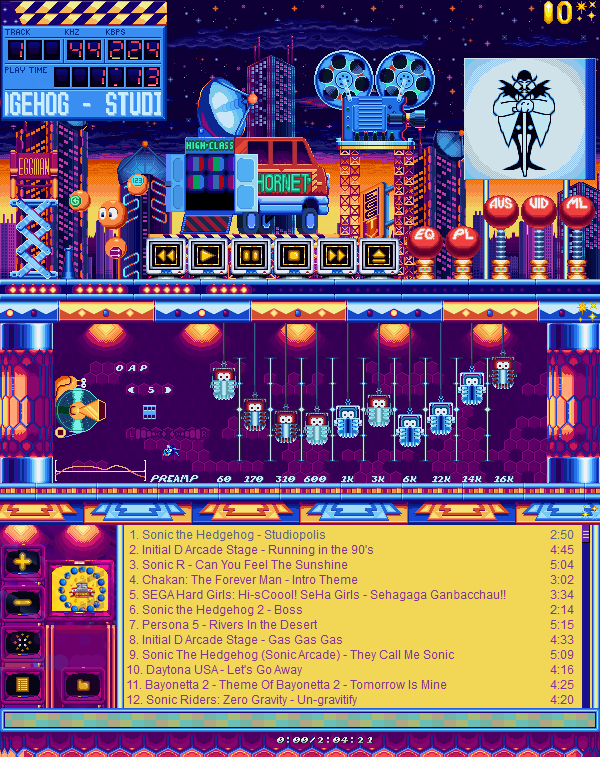 The original script I used to change the reactive animations in the Green Hill Zone skin would cause an error if it was off when you close and reopen the winamp. Not only that, but I could not change the names or add more animations because the script (which I had to get a decompiler to open up) would not recompile due to some function tag error. And it wasn’t just my script as any other script that I looked at that had a function type of tag wouldn’t compile either. I spent a solid weekend, maybe like 50 years alone just reverse engineering and learning maki scripting which is basically a dead language, what with Winamp pretty much being dead. 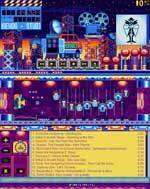 The best part is when I went to the old winamp.com forums that are still kind of active and asked for help. and I got banned! I got freaking banned from the forums haha No reason was given, and I am banned forever lol But luckily, later that day I learned to make a work around which accomplishes the same thing. Not only that but I can use that script for another part too. So in the help I guess it worked out great. I streamed this whole process over Twitch! 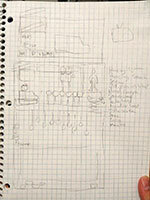 (except that time I spent trying to figure out that scripting issue) it came to about 224 hours I worked on this. That is crazy! Now also realize that my desk is a standing desk, so when I stream, I am standing! I really enjoyed working on this with all it’s ups and downs, and I really like how it came out too! Sadly, due to the limitations of this old, old program. There were some things I couldn’t do. But it looks great to me! I also made a timelapse video of the whole streaming process and a kind of tour of the skin video which are linked below! Hornet Van that Dances to the Music!